One of Tweet Treats' great supporters is @Mariam_Kobras from Germany. Mariam very kindly hosted a stage on the Tweet Treats blog tour, so it seems only right for Tweet Treats to return the favour. Be sure to read to the end if you want to enter a terrific giveaway! A talented writer, Mariam is the author of the newly released The Distant Shore, book 1 of the Stone Trilogy. The novel deals with Jonathon Stone, international rock star, who has pined for years over the One That Got Away. When an unusual fan letter arrives he drops everything to finally find her - Naomi - and the son he never knew he had. This is a gorgeous book; from the strangely tactile, softly coloured cover right through to the unresolved ending, Kobras plays on all the senses to weave a tale of love that is bigger than either of the main characters. The book begins unconventionally with a lost love regained, leaving the reader wondering where the story can possibly go from there. However, though drawn helplessly together, the main characters have oceans between them, complex histories and enormous amounts of baggage to overcome. The language of the book explores the depths of their characters, leaving them raw and open for the reader, at times almost uncomfortably so. 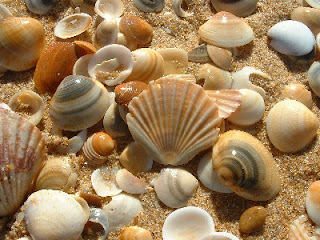 Geography and landscape play a large role in the story, and are exquisitely drawn by Kobras to the extent that the reader feels the warmth of the sun, the salt spray of a frigid sea, or a cold stone held in a hand making the reader absolutely present within the story. It takes a great writing craftsperson to draw in the reader in such an irrevocable manner, and Kobras is such a writer. 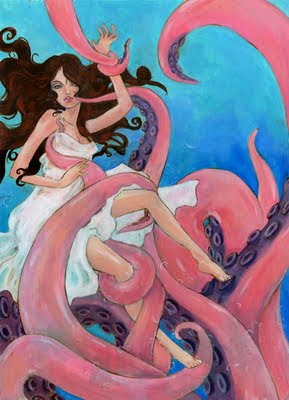 Her style is reminiscent of Anita Shreve, and if you liked Body Surfing, then you will love this. I highly recommend it and Tweet Treats wishes Mariam all the best! This was the thirteenth stop on Mariam’s The Distant Shore “Love is in the Air” Blog Hop and Giveaway. We hope you enjoyed this review and will join us tomorrow on the next stop at Satisfaction for the Insatiable Reader for a post on creativity. Buddhapuss Ink is giving away copies of Mariam’s book, along with some pretty terrific (and very romantic) gifts, as we count down to that most romantic day of the year—Valentine’s Day! Leave a comment for this post for one entry. We also encourage you to “Like” this blog and follow it! Tweet a link to this blog including the hashtag #TDSBlogHop for another chance to win. Want more chances to win? CLICK HERE for all the info! Want to see that TV interview that Mariam and Marci mentioned? Here it is. Greetings all! 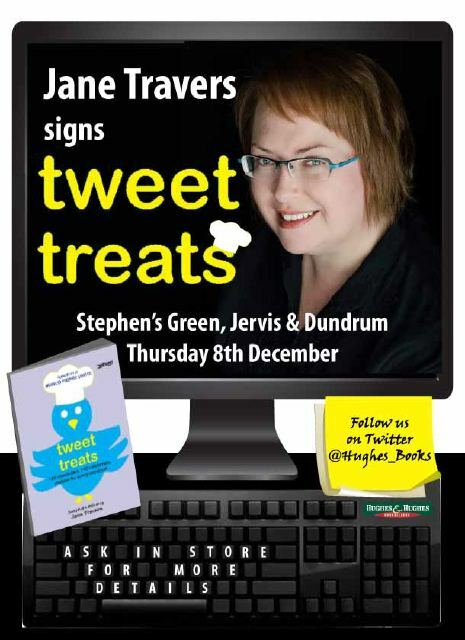 If you're a) in Ireland and b) in Dublin City Centre on Thursday coming, 8th December, then come and meet me in one of the Hughes and Hughes branches where I'll be signing copies of Tweet Treats. My itinerary is as follows; 10.30am (ish) I'll be in the Stephen's Green Shopping Centre branch; 11.30am (ish) I'll be in the Jervis Centre branch and 1pm (ish) I'll be in the Dundrum Shopping Centre branch. Come along and say hi if you're out and about! If you follow me on Twitter (and if you don't, why not?) you would know that I'm a total fangirl when it comes to Neil Gaiman. You would also know that he donated a recipe to Tweet Treats. Finally, you would know that my hubby @ukegnome and I had a fit of insanity and decided to fly to Seattle last week to see Neil and his wife @amandapalmer on the final night of their west coast tour. There are plenty of bands, actors, comedians, writers who could be appearing in my own hometown, who I wouldn't bother going to see. There are a few for whom I might travel as far as Dublin; or, if they were really special and I fancied a shopping trip as well, maybe even London. 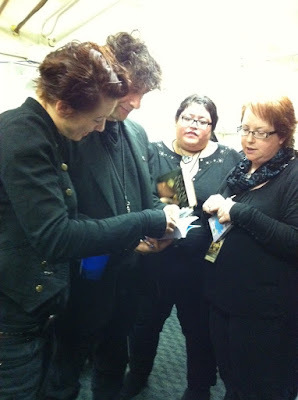 But for Neil Gaiman I was willing - nay, happy - to travel half way round the world. 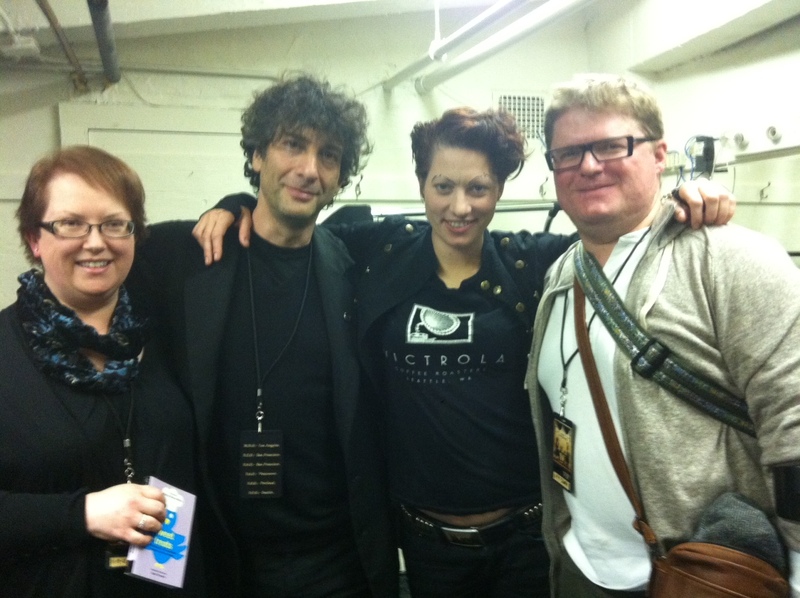 Why do I love Neil Gaiman so much? Really, I think it's his voice. No, not his singing voice (though that's not half bad, and I'm still wandering around the house singing 'You Think I'm Psycho Don't You, Momma' to the dogs. They love it.) I'm talking about his writer's voice, that thing that every creative writing coach tells you you have to develop for yourself. Before I'd ever seriously thought about writing myself, before I'd wondered if I could develop a 'voice' of my own, I was aware of Neil's. I was a damn good essay writer when I was in university - A's and A+'s were the norm. However, as the result of my own peculiar brand of warped logic, I convinced myself that if I could write non-fiction well then I would only ever write fiction poorly. All my dreams of being a writer - forget it. Maybe I had the ability to review books, spend my life parasitically feeding on the creativity of others, but I certainly didn't hold any of that creativity myself. So, now I have Tweet Treats published and that's terrific. I'm fiercely proud of this cute little blue book - it was creative in its own way, in its concept - but I want more. I want to publish a work of fiction that is entirely of my own creation. 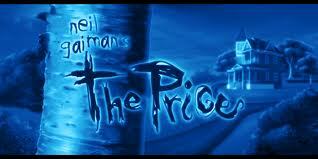 Frequently I feel the fear, that old conviction that I'll never write good fiction; but when I do, I re-read The Price. 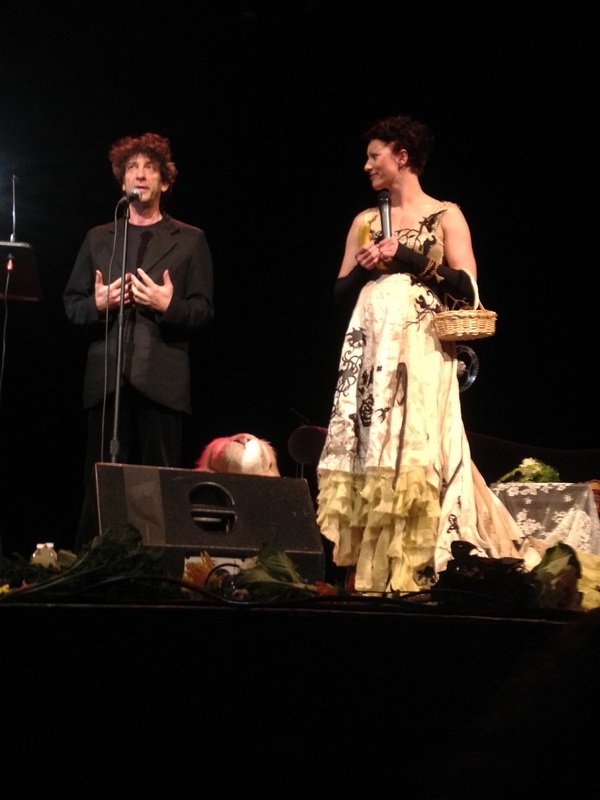 Or any other Gaiman short story - or novel. His voice rings clear through them all. It comforts me, and I know I can find my own. So what has this post got to do with Tweet Treats, you ask? 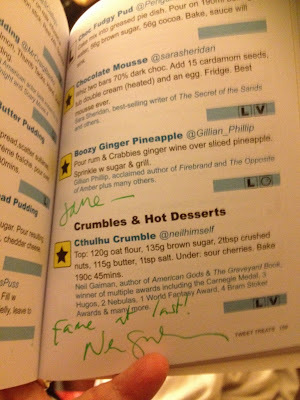 Well, I did get to give Neil a copy of Tweet Treats - and got him to sign mine. A spurious excuse perhaps, but I'm ok with that. 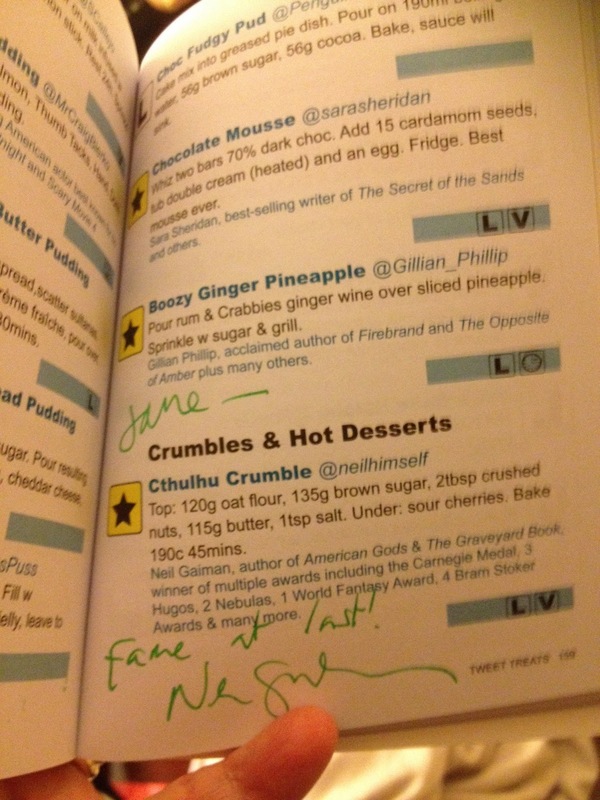 You can find Neil's contribution to Tweet Treats on page 159, called Cthulhu Crumble. 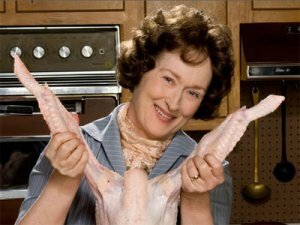 Will I copy the recipe here for you all to have a look at? Will I heck. Go buy a copy yourselves, you wastrels (or look closely at the pic above!). If you live in Ireland, you can visit Irishfoodbloggers.com who are giving away five copies this week - just leave a comment. 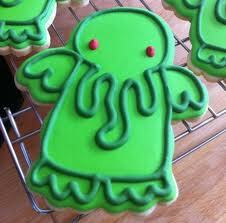 Yes, I know this is a Cthulhu Cookie, not a crumble. So sue me. Morning all! (What? It's still morning. Somewhere.) You'll no doubt be thrilled and delighted to know that today is the last day of the Tweet Treats blog tour! I'm sure I've bored you all senseless dragging you all around.. What's that? You've enjoyed every minute of it? Aw, shucks. Anyway, today in many ways I'm back where it all began. The first thing I ever had published was a tiny piece called My Mother Wears a Car on the Third Finger of Her Left Hand in the anthology A Pint And A Haircut, True Irish Stories For Haiti edited by Garret Pearse. It, too, was for charity and was to directly benefit Haiti. At the time I'd finished collecting the recipes for Tweet Treats but had no idea if I'd ever get it published, so I was delighted to be contributing in some small way. Garret very generously offered to host a stage of the Tweet Treats blog tour, so it seems very fitting to end it all on his blog. Read about it here, and there's also a link to buy A Pint And A Haircut if you haven't done so yet. You can still win a copy of Tweet Treats on @jonpinnock's blog too, or click the link below to buy your own. Thanks for reading, everyone! Morning all! Today the Tweet Treats blog tour heads to Bolton in England to talk about charity and how it doesn't just have to be dull and boring and stuff. And junk. The tour host today is @BoltonBulls, themselves a charity trying to raise funds for their wheelchair basketball team. You could donate to them while you're there, if you felt so inclined; or you might even win a pair of tickets to the see the Stone Roses! Read the Tweet Treats guest post here. Remember, all this week you could win a free signed copy of Tweet Treats over at @jonpinnock's blog here. 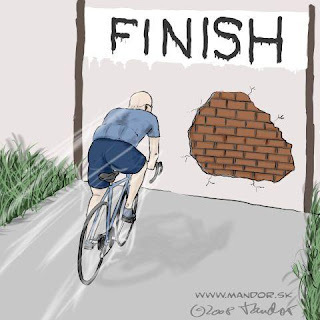 There are some good entries so far, stretch your brains and keep them coming. If (when!) you try a recipe from Tweet Treats, let me know what you think! Tweet an opinion with the #tweettreats hashtag, or even take a pic to tweet or to tag Tweet Treats on Facebook. 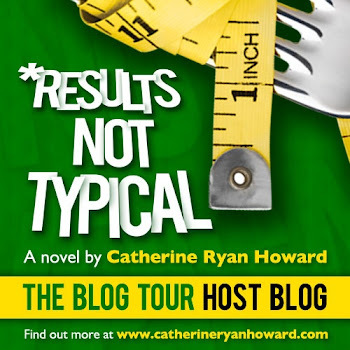 Today the Tweet Treats blog tour touches down - with some trepidation - on @jonpinnock's blog. Pinnock is responsible for the terror and dreadfulness that oozes from Mrs Darcy Versus The Aliens, which is a stonking good read and I recommend it rather highly. Anyway, over to Jonathan we go. I really hope he's not too mean to me... Read all about it here. There's also a chance to win a free signed copy of Tweet Treats, but you need to be witty! 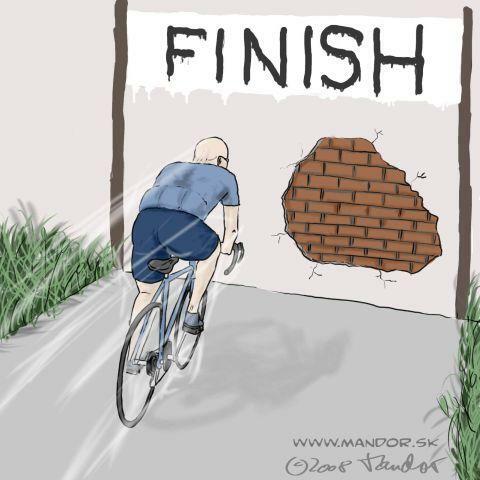 Failing that, you can still buy your own copy by clicking the link below. Today the Tweet Treats blog tour is flying all the way to Germany, and without even needing our passports! That very lovely, encouraging and supportive lady @Mariam_Kobras asked me all about the genesis of Tweet Treats, about dinner dilemmas and favourite foods. Read all about it here. This just in: a terrific interview with me me me by @iainbroome for writeforyourlife.net. You can read it here, if you're so inclined. Remember, you can still win a free signed copy of Tweet Treats all this week at @mduffywriter's blog here. Or click the link below to buy your own!